Guys…if you ever travel transatlantic you will know that it is harder to cope with jet lag when travelling East than it is West. Well, not my 3 month old baby!!!! She was the complete opposite. What a weirdo. I GTS’d* ‘baby and jet lag’ and found little scientific evidence about what was going to happen to my baby when she travels across time zones. I found some tips, but no one was really in agreement. My sense is that it totally depends. I was curious if at 3 months old my baby had any circadian rhythm at all. I’ve always questioned how she has been so good at going to bed every night no fail at 7pm. Was it the bedtime routine? Or was it the daylight cueing her to sleep for 6,7,8hrs straight? So this is what happened…. 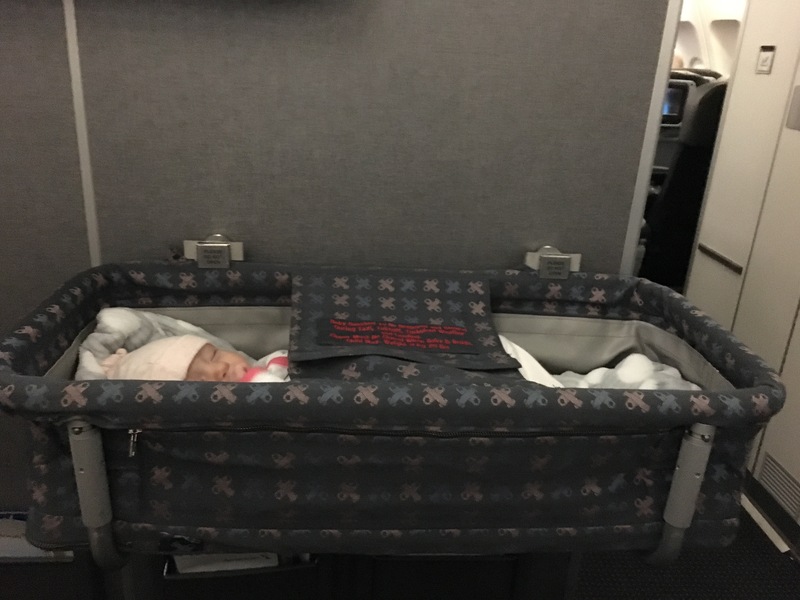 Aviana proved that she didn’t need a bedtime routine to fall asleep for her long night time stretch of sleep, she fell asleep in her buggy before we boarded the flight (a little later than usual – around 7.30pm) and stayed asleep until her usual time of getting up for her mid-night feed. 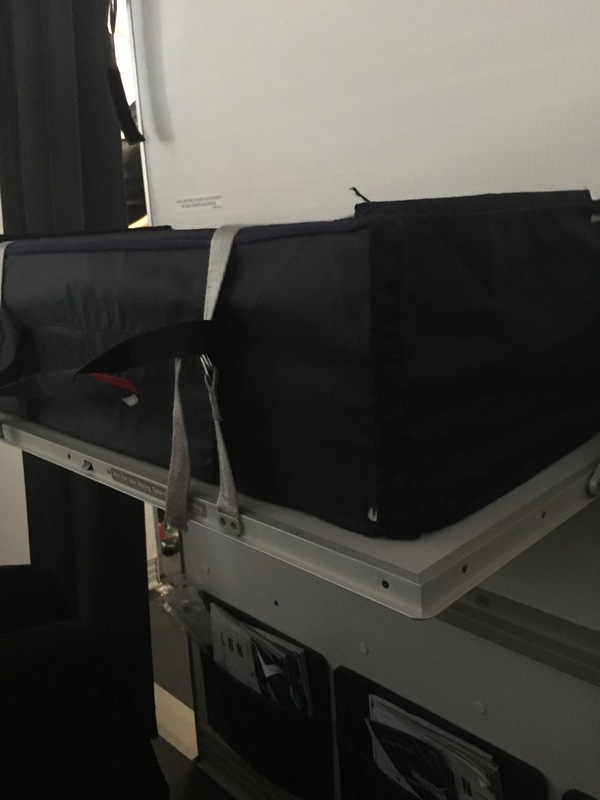 Our flight was at 10pm, she stayed asleep when we visited the lounge, when we boarded the plane, when she cuddled on my lap as the plane took off and even when we transitioned her into the bassinet that slots into the bulkhead. What a superstar. 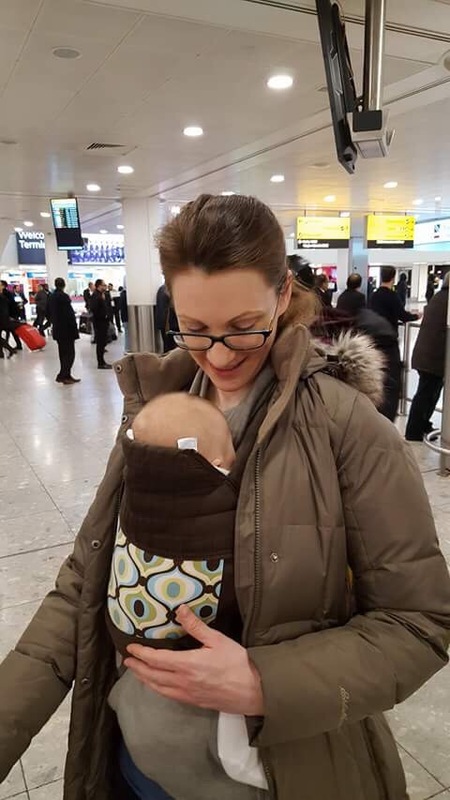 Once we arrived in London I carried her in the mei tai carrier (because the buggy was taking too long to get off aircraft so I had to pick it up from the baggage carousel) and she fell asleep in that too as we went through customs and picked up our baggage. She was great. The new environment didn’t stop there for baby girl, we then drove for 1.5hrs to my parents house. That was the longest she has ever been in a car. She didn’t fuss and slept for most of that too. (BTW inbetween all this sleep I was feeding and changing her ;-p). We then had another 1.5hr car journey to my gran’s house and she was brilliant again. After all that sleeping and change I wondered if she would stay up all night and stay on US time. So I put her down for what I thought would be a nap at 6.15pm UK time…and she just kept on sleeping right through to 3am as if she was on her normal time zone! What is this witch craft??! And for the rest of the holiday she stayed on UK time and generally went down to sleep at 7-8pm as usual. What about the journey back to the US? Well first of all that journey was crazy because it was a daytime flight. How do you entertain and tire out a 3 month old baby on a plane for 8 hours!?? Fortunately I was sat in a seat with a bassinet by the window and the seat next to me was empty and in the aisle seat was a Jewish man. I only mention that because I’m not sure he was overly comfortable with me breastfeeding next to me, but I have read that in Judaism it is permissible to breastfeed in public in modesty, but I’m not all clued up on different sects. I like to think I’m modest when I’m feeding Aviana and he didn’t change seats, so I think we were both OK about it in the end. I digress…..I asked if he would like to swap seats because I anticipated I would be getting up a lot with baby. But he declined. Something I think he may have regretted because I made him get up about 20 times during the flight to let me out!! Plus, like I said, there were plenty other seats free on the plane!!! Throughout the flight Aviana kept a good routine of eat, play, sleep, but she didn’t sleep well because our seats were right next to the galley, so there was a lot of loud banging. She was a little grumpy as a result. Going through customs I put her in the baby carrier and she screamed blue murder. So much so in the immigration hall I was ushered to the front of the queue!!! Brucie bonus! Once I cleared immigration and customs I put her back in the buggy and all was good with the world. Until the second internal flight. More grumpiness and crying. Fortunately the plane was practically empty, and there were a few doting grandmas to give me words of confidence. She fell asleep at about 4pm US time (9pm UK time) and she was out for the count. Nooooooooooooo. This was not good!!! When we landed and finally made it home we tried to keep her awake with a bath-feed routine. But alas she woke at 1245am and wouldn’t go back to sleep until 5am. Brutal. The next day we managed to keep her awake until 6pm, but she woke up again at 1.30am and stayed awake again until 4.30am. The second day we stretched her out to 6.30pm and she woke up 2.45am, back to sleep at 5.45am. Finally, by the third day she was back on routine -7pm bedtime one night time feed at 3.45am, back to sleep til 6am. Phew. So there you have it…dealing with a jet lagged baby isnt easy, especially if one of you isn’t jet lagged! It takes a bit of patience, but it won’t be the end of the world! It took 3 days for Aviana to get back into a routine coming west and 0 days to get into a routine going East. So it wasn’t actually that bad in the end. Could have been worse? Anyone want a 45 minute timer? I’m looking forward to your next post on tips because we are going to need them soon enough! Also I find it fascinating that the time change didn’t seem too horrible for her! I hope that’s common for slightly older kids too…..
Great post! Thanks for the info. QQ. Were you able to go to the bathroom on the plane since it was just you with her? Did you take her with you?